In addition to our ugly cheesecake for my daughter’s family birthday, there was a need for treats to distribute at her school birthday celebration. 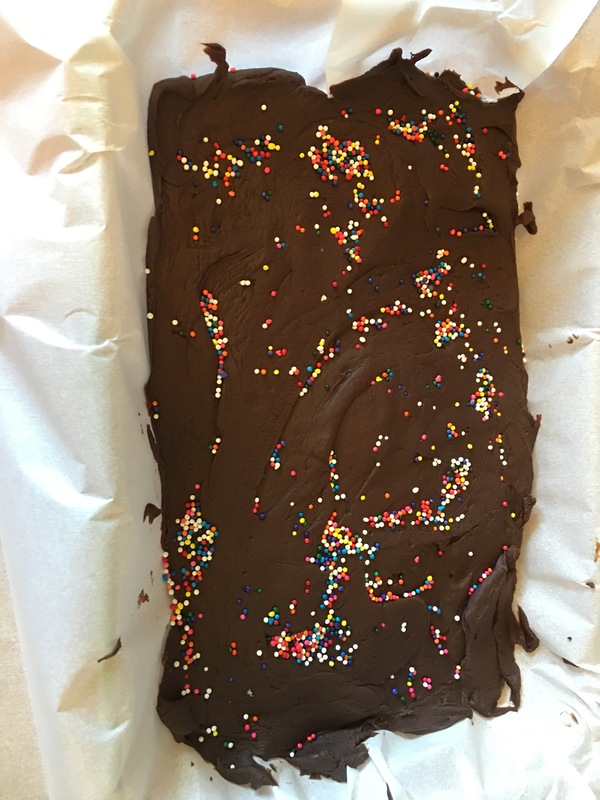 She has classmates with nut, wheat, and egg allergies, and I wanted to make something the most children could enjoy. 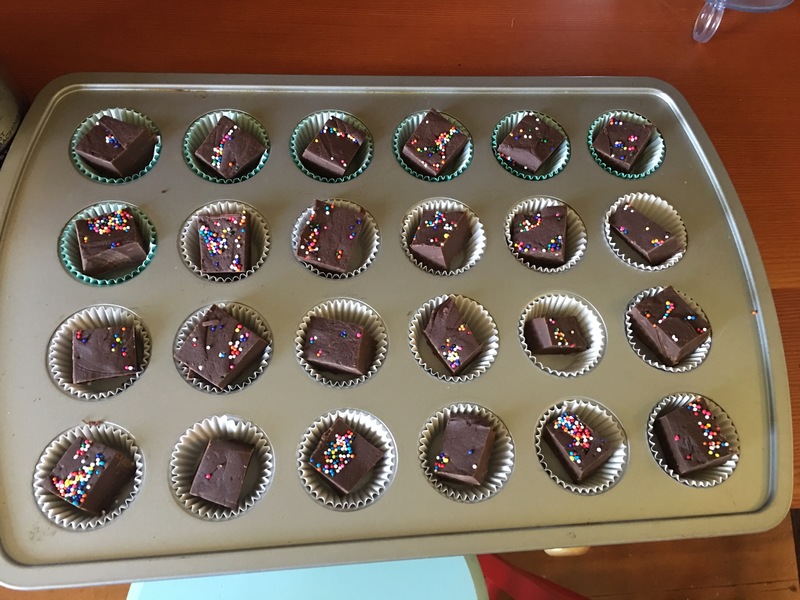 So we decided on nut-free, easy chocolate fudge, with sprinkles, of course! Mix chocolate chips, milk, and salt together and melt over a stove, or in 30 minute increments in the microwave, stirring until smooth and glossy. Pour into a 8 or 9″ pan lined with parchment paper. Smooth into an even thickness. Add sprinkles or other toppings while still warm and soft. Place in refrigerator until solid, cut into pieces with a sharp knife or pizza cutter. 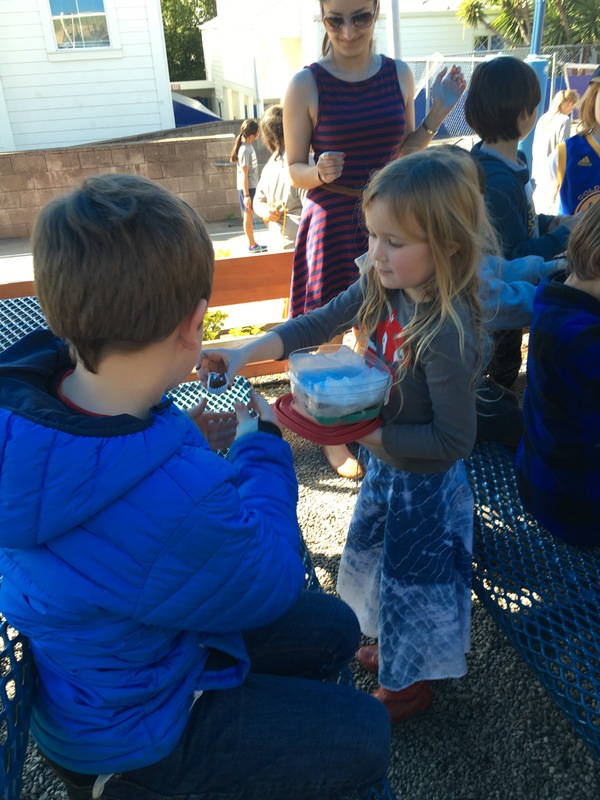 Keep chilled until you serve it to a bunch of happy kids! Thank you for the comment! 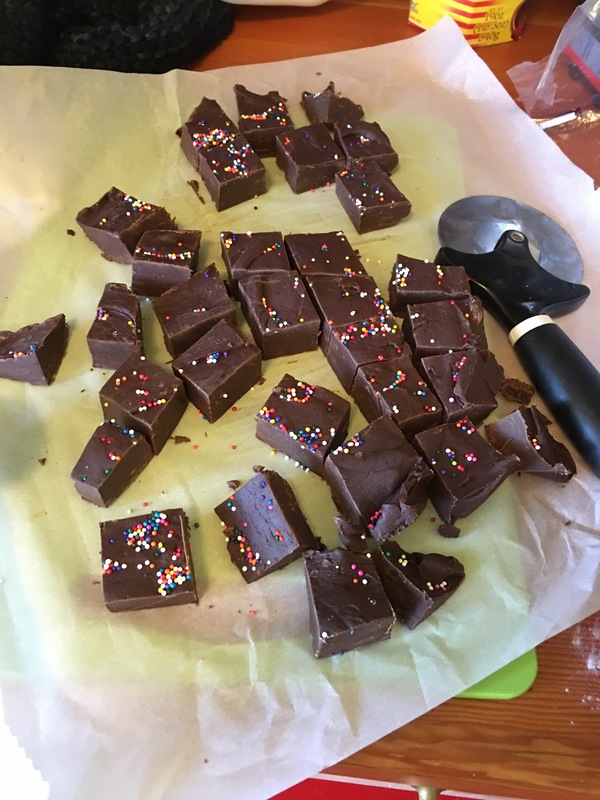 This is sort of cheater fudge, but very easy, rich and sweet! Look forward to checking out your blog.